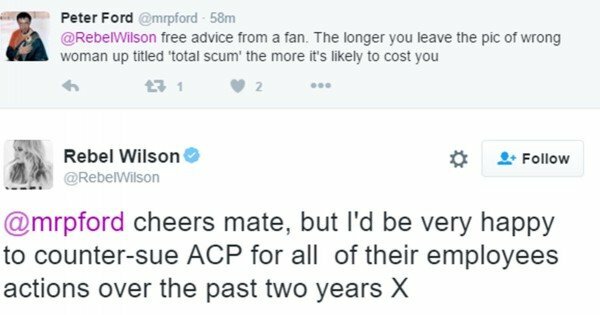 Rebel Wilson tweeted a woman's face and called her "total scum". But she had the wrong person. Something odd is happening on Rebel Wilson‘s Twitter account. Note: Mamamia has pixelated the woman’s face. Mamamia spoke to Elizabeth Wilson (no relation to Rebel) and she was unaware that her face had been beamed out to Rebel’s 2.43 million Twitter followers. She said Rebel had the wrong woman. She doesn’t know Rebel Wilson, or her grandma. She is not a tabloid magazine journalist but the senior features editor House & Garden at Bauer (formerly ACP Magazines). Watch Rebel Wilson make a controversial joke at the 2016 Baftas. Post continues after video. 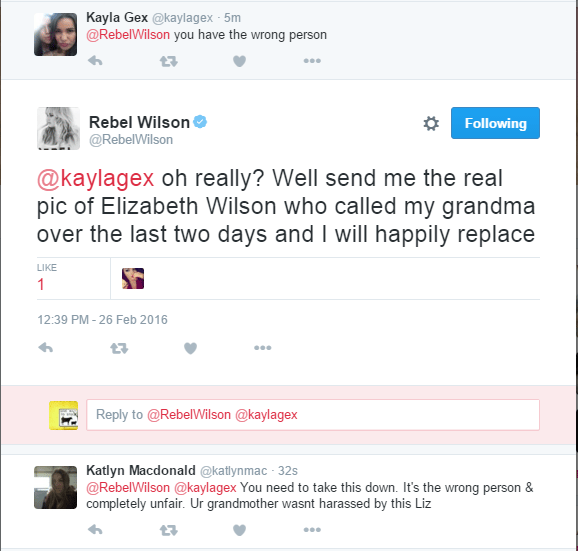 Elizabeth confirmed that although she has never harassed Rebel’s grandmother, the photo that Rebel tweeted is indeed her. The photo appears to have been taken from Elizabeth’s LinkedIn account. 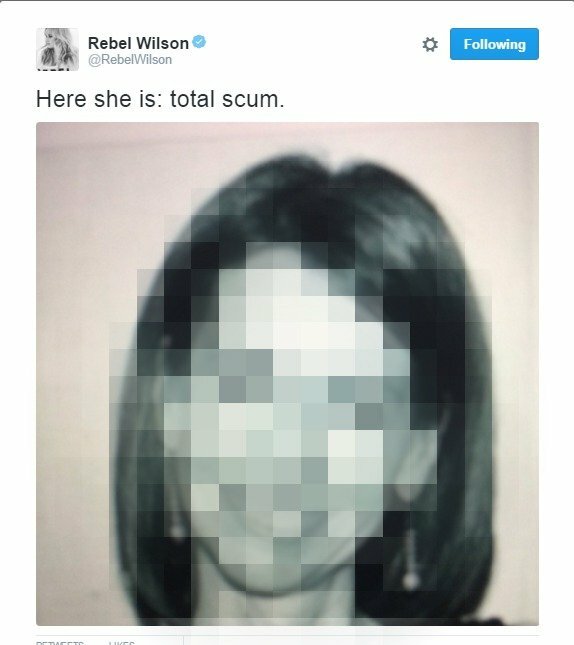 Rebel then posted it, and called her scum. 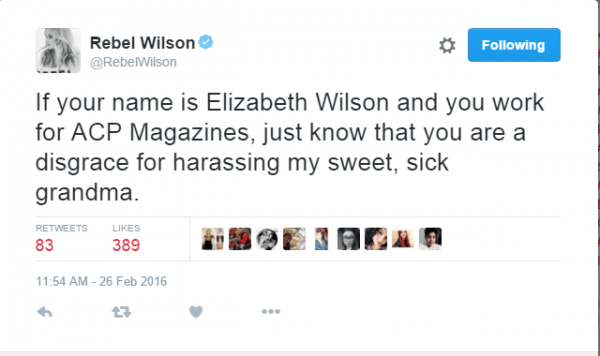 And now Elizabeth is being called far worse by an army of Twitter trolls who support Rebel Wilson. From the benign (offers to toilet paper her house) to the obscene (we won’t dignify them by reproducing the words here), tweets about Elizabeth Wilson written by people she doesn’t know are proliferating. We asked Rebel if she’s sure. She blocked us from viewing her tweets. Elizabeth said “this is so far out of the realm of what I deal with” in her work for the magazine. She was bewildered and said she felt “really distressed”. She said she certainly doesn’t go around harassing “sweet, sick grandmas” and cannot fathom what Rebel could be talking about. Mamamia contacted Rebel Wilson’s reps, but they were unavailable. Mamamia let Rebel know that she may have the wrong woman, and Rebel responded by blocking Mamamia and staff on Twitter. Other followers are pointing out that Rebel likely has the wrong woman (including followers who say they are Elizabeth’s colleagues from House & Garden), but Rebel is yet to remove Elizabeth’s photo. Update: Rebel Wilson has removed the photograph she tweeted of Liz Wilson after being informed by Mamamia as well as numerous colleagues and friends of Elizabeth Wilson that she had the wrong person. 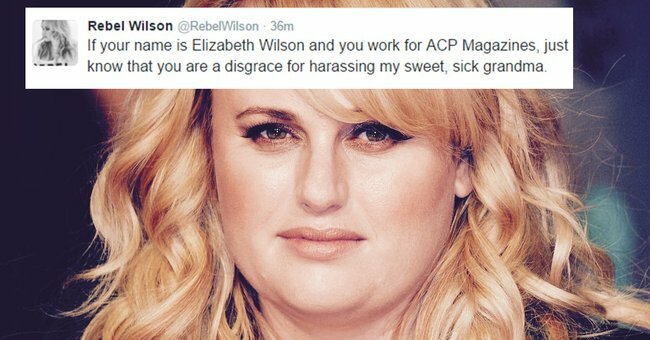 A defiant Rebel Wilson has failed to apologise on Twitter to Elizabeth Wilson, whose distress at this unwarranted attack is considerable, nor has she acknowledged that she had the wrong woman.